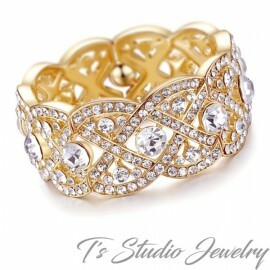 Available with silver or gold tone accents. 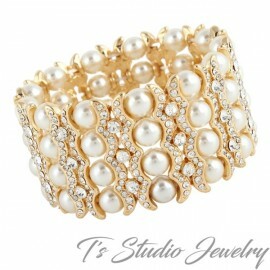 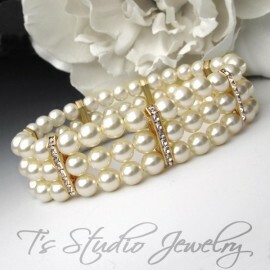 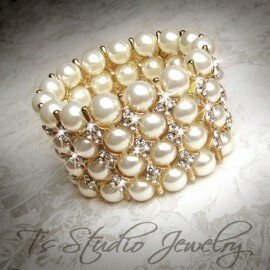 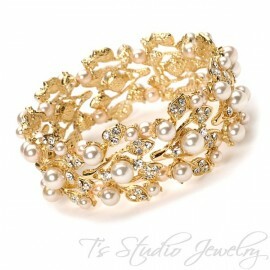 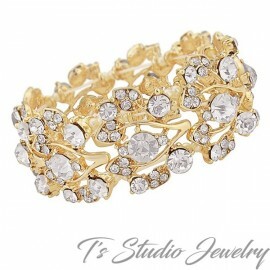 This gorgeous bracelet is elegant enough to wear on your wedding day, but also perfect for any special occasion. 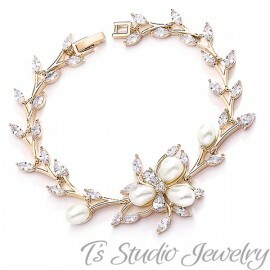 It is made with a mixture of Swarovski crystals and pearls, and finished off with a beautiful 24k gold plated floral clasp encrusted with tiny Swarovski crystals, with a pearl center. 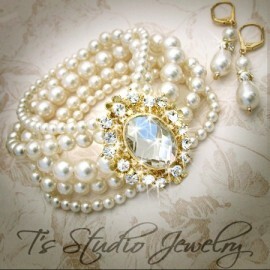 Please contact us if you would like a custom color combination.